There is something more to it than just “she loves you, yeah,” it does have some kind of magical power in a way. 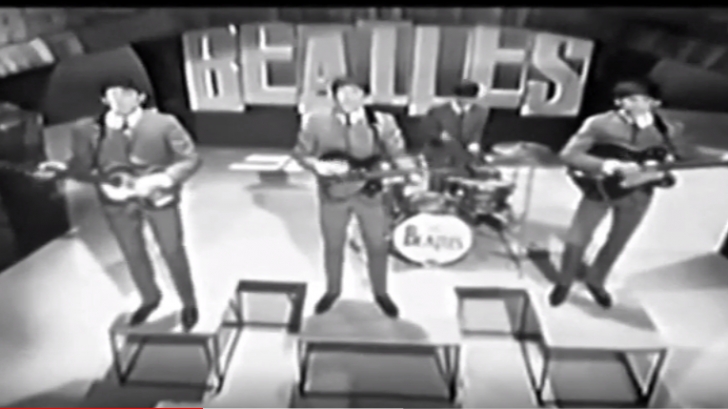 The epitome of Beatlemania, and if you’re old enough to remember the feeling of Beatlemania in 1964, then this song is very nostalgic and captured that energy. The song was indeed where Beatlemania truly began. Released as a single on August 23, 1963, and remained as their best selling single in the U.K. The Beatles wrote the song in June 1963, in one of the rooms in Turk’s Hotel in New Castle. It was definitely a collaboration between Lennon and McCartney. She Loves You showed how much the Fab Four loved music and how excited they were in creating one, and it was a defining moment of their early career. McCartney had an idea to make it as a call-and-response song, where he sings the title line and the others would be answering with “yeah, yeah, yeah.’ But then, John Lennon managed to persuade him. “John and I wrote She Loves You together. There was a Bobby Rydell song [Forget Him] out at the time and, as often happens, you think of one song when you write another. They managed to finish writing the song at McCartney’s family home in Forthlin Road, Liverpool.